National Capital, crime capital and now pollution capital, Delhi is gaining popularity in all negative things thanks to negligent approach of government authorities and callousness of Delhihites for necessary issues. 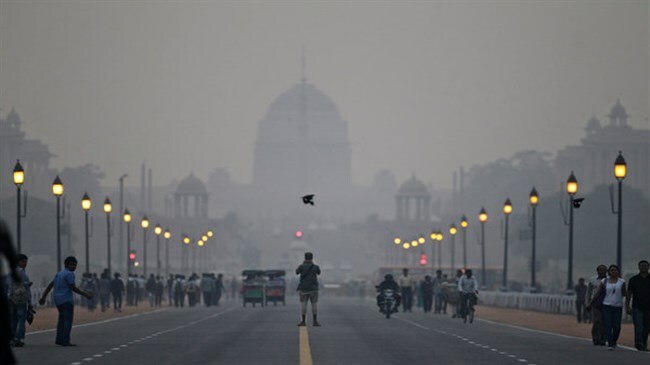 This statement came from the bench of justices Badar Durrez Ahmed and Sanjeev Sachdeva while reading the action plans filed by the environment ministry and Delhi government on dealing with pollution of Delhi. They said that action plan is not comprehensive as they did not contain specific responsibilities of each authority and the timeline for carrying them out. Delhi registered almost 1400 vehicles daily which add to the already severe pollution level. The pollution by dust particles comes second after vehicular pollution in making Delhi's air unfit for breathing. Apart from this pollution created by burning of dry leaves by Delhihites, burning of coal in thermal power stations and construction site's dust emission have turned Delhi into a Gas Chamber. According to health surveys in last ten years lung capacity of newborns have decreased in Delhi, respiratory problems have increased up to 65% and now there are more cases of lung cancer as compare to the cases registered 10 years ago. Rapid urbanization and metro construction have removed large areas of green cover which have never replaced and cared by any agency. Although CNG is used in state Autos and Buses cars are increasing because public transport vehicles not sufficient to cater ever increasing population of Delhi. After high court orders Delhi government have planned to introduce Odd-Even scheme for private vehicles which allows odd and even number cars on alternate days. This plan will reduce vehicles on road by half but with lack of public transport system to incorporate all those who leave their cars there is little hope for success of this plan. The other move of closing down two thermal plants which are not running with their peak capacities will hardly change air quality. Government's have taken steps in haste without proper consultation from experts. There is a need to limit cars on Delhi road. Limit the vehicle registered in Delhi. Check and verify parking spaces before giving vehicles. Government and private both companies and agencies with more than 50 employees should provide buses for transportation. This will not only reduce traffic and pollution but also put an end to VIP culture and make employees more punctual. The traffic which is not bound to Delhi should not allow to enter Delhi roads. Western and Eastern highway project for this purpose is under construction from last ten years which should be completed as early as possible. Allow only those supply vehicles in Delhi which uses green fuel or device a system to collect and deliver items from border areas. Construction sites should take proper measures to reduce spread of pollutants in the atmosphere. Those working in such sites must provide with proper masks. Build elsewhere assemble here formula should adopted which not only reduce the time but offers better quality and reduce pollution. The condition of public transport should be improved, introduce more buses, mono rail should also be used at small distances, increase metro frequency in peak hours. Awareness should be spread about ill effects of pollution. Rich can afford air purifiers but poor don't have that luxury. They face smog directly. Children, elderly and sick people are more prone to ill effects of pollution, they must avoid outing at peak pollution hours of morning and evening. Government alone can't fight this evil, it needs our support to curb pollution. We should work hard to make Delhi air save and fresh for us as well as for coming generations. It seems that the lackadaisical attitude of authorities are making people bearing the brunt. Any unplanned programme will lead to failure. I was watching an NDTV coverage how its 25 times worse than the average level.